Our RUNACC crampons will provide durable use experience for you. Flexible and elastic rubber, ultra tough and solid, offer durable use experience. Anti-rust and abrasion-resistant stainless steel, extremely solid and sturdy in use. 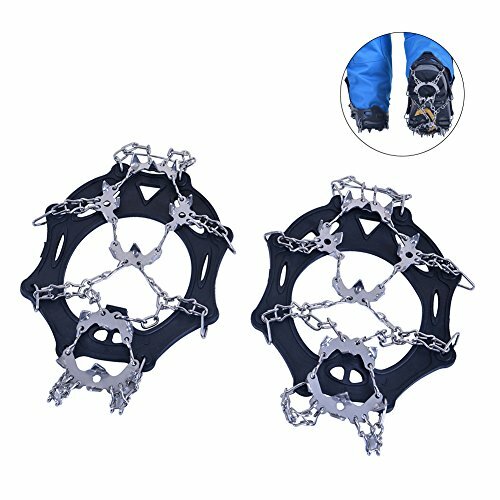 Capable to wear with various outdoor sports shoes, such as hiking shoes and mountain boots, suitable for wearing on ice and grass. Low temperature and high temperature resistance, aging-resistant to forty degrees high temperature, provide anti-aging performance. Foldable design, allow you to carry around.